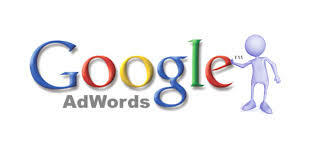 AdWords Keyword Tools Are Not Always Correct! – The keyword is exact match. – 100% impression share for November. When logged into the account the keyword tool indicates that the approximate November search volume was 44,830. That estimate is based on exact match and the correct location targeting. Here’s what surprised me – the actual number of impressions that keyword received in November was 56,770. Do a little rounding and the estimate provided by the keyword tool comes out within 10% of the real number. Now of course that’s one keyword in one account and in no way am I trying to imply that the keyword tool will be that accurate in all cases. I’m honestly surprised though at just how accurate it is in this case. Anyone else seeing similar numbers? How to recommend a Facebbok Page to Friends..
Facebook Business Page brings more visitors to your visit if you take right steps to create, fine tune and maintain your Business Page. Facebook is a powerful platform as good as word-of-mouth marketing. Now, click on Build Audience and invite all your email contacts. Now, the selected email addresses will get invitation to ‘Like’ the Facebook Business Page. Now, you will find that many of your friends and contacts have come to know about your Business Page in Facebook. They start give valuable suggestions, and may share the page with their contacts further. This will result in more activities for your Facebook page. Ultimately, you find that you are generating more business using your contact emails without requesting them to bring more business for you.